Announcing Gensler’s Redesign of xREZ! Gensler Dallas generously partnered with xREZ to envision the future of art-science education and research. Now, it’s time to build it! xREZ is an art-science research laboratory and creative studio. Gensler is a global design firm ranked in the top 100 green design firms. Through partnership and collaborative design, Gensler and xREZ have discovered solutions to create the ultimate laboratory — a space for training the thought leaders of the future. Help fan the flames of art-science activity in North Texas and join us as we move into the next phase for xREZ Art + Science Lab. xREZ Art + Science Lab is in its start-up phase. 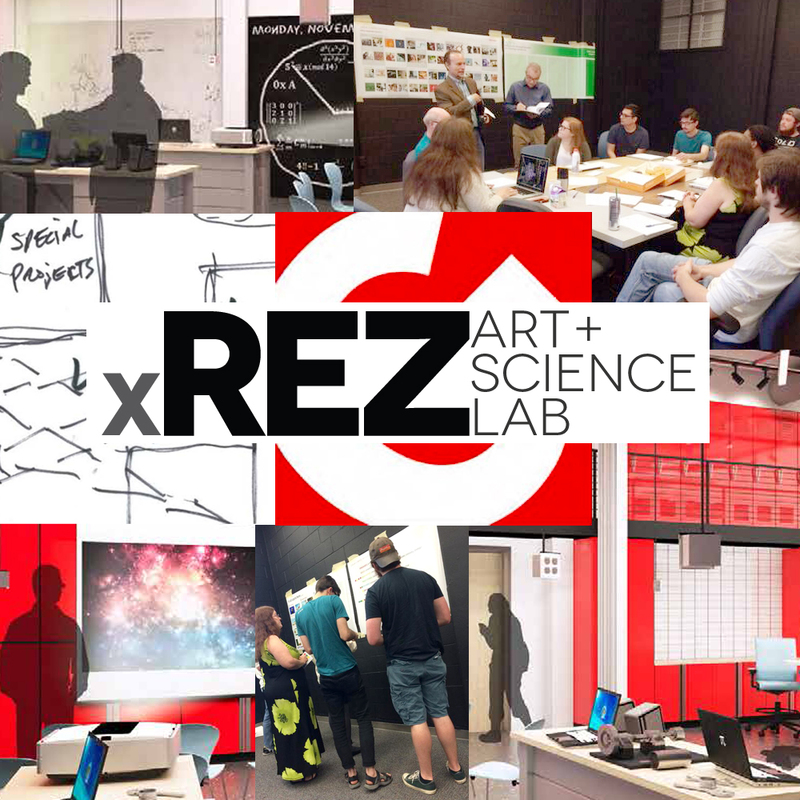 Established by artist-scientist Prof. Ruth West, xREZ is developing a culture of research by envisioning the creative educational experience of the future — a space where students can use the combination of art, science, and technology to solve real-world problems. Gensler is a global design firm ranked first among the top 100 green design firms, with more than 2,300 active clients worldwide and the company is focused on transformative architecture, brand design, interior design, planning and urban design, product design, and sustainable building around the globe. Gensler’s clients include 40 out of 50 Fortune 500 companies, and four of the five largest companies in China. But Gensler’s mission also includes assisting worthy start-ups by providing designs free of charge to help them excel when they most need help. In 2014, they chose xREZ. Now, their inventive architecture solutions are helping the Lab answer the question: How can we combine design and innovation to create the best laboratory space for training the thought leaders of the future? Gensler Dallas associates Ted Watson, Emily Shively, and Tim Lavelle have generously given of their time working with students to envision the future culture of the lab and provide innovative solutions. In the summer of 2015, Gensler delivered renderings for a new design of the xREZ that takes this art + science lab to the next phase of its launch.